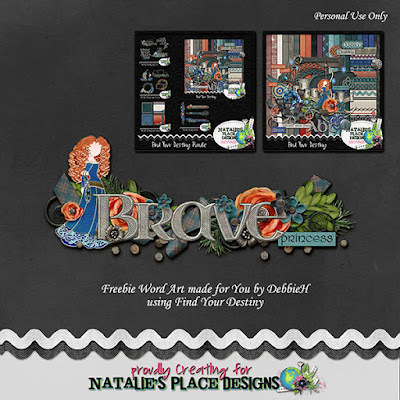 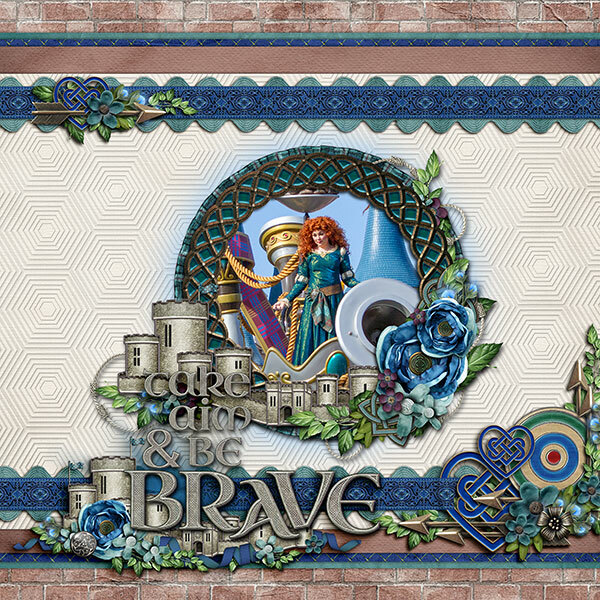 Natalie has a wonderful kit based on the movie Brave and the character Merida. 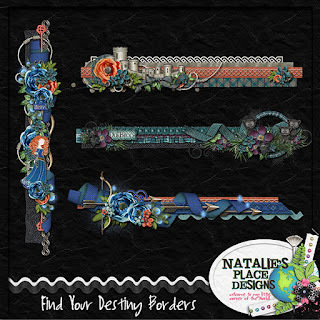 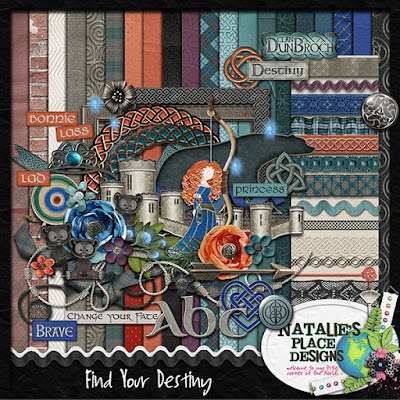 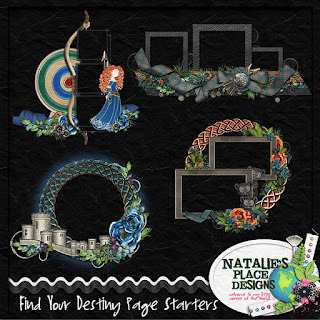 This kit contains 20 papers, 8 flowers, 2 leaves, 1 pine branch, 1 berry stem, 8 ribbons, 2 ricracs, 1 string, 1 trim, 2 circles, 3 celtic elements, 4 frams, a crown, a target, a bow, an arrow, a castle, 4 bears, 4 borders, a princess, 2 flairs, a flag, a flourish, a coin scatter, a piece of lace, a wisp, 8 word tags and an alpha. 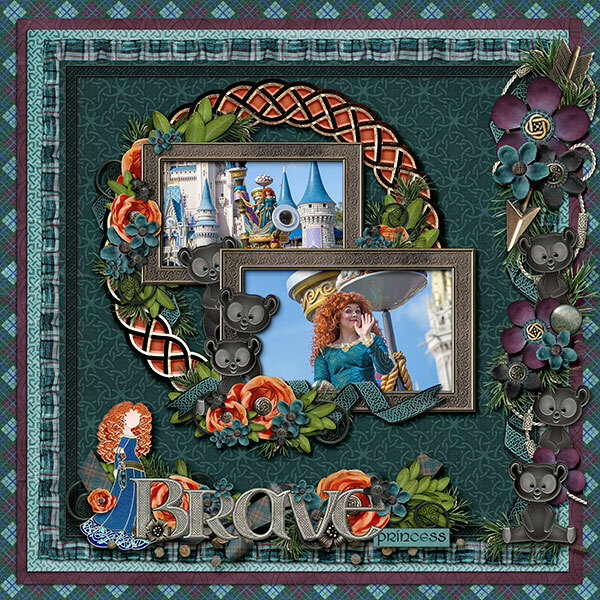 Here are a couple layouts I made with the Bundle. 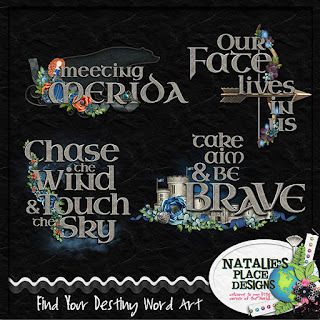 And Freebie Word Art just for you. Click on the image for a direct download.